He joined the company in 1997 and worked in the mechanical design division for 20 years. He worked 5 years out of 20 years exclusively for jig design. This is his very first year in Thailand. He joined the company in 2010. Since then, he has been involved in sales and moved to the current position. 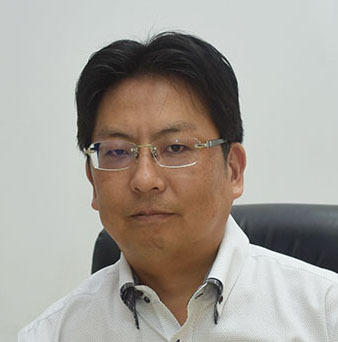 He strives to expand sales of "Enshu" by using his abundant knowledge of machining centers. 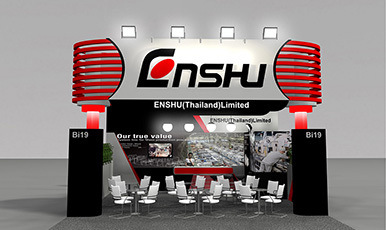 KUREMATSU：Established in 1997, Thai local subsidiary "Enshu (Thailand)" established a manufacturing department in 2003. We have offered total solutions from manufacturing to sales and aftercare. Our sales team is engaged in marketing activities throughout Thailand with the motto of customer first principles. 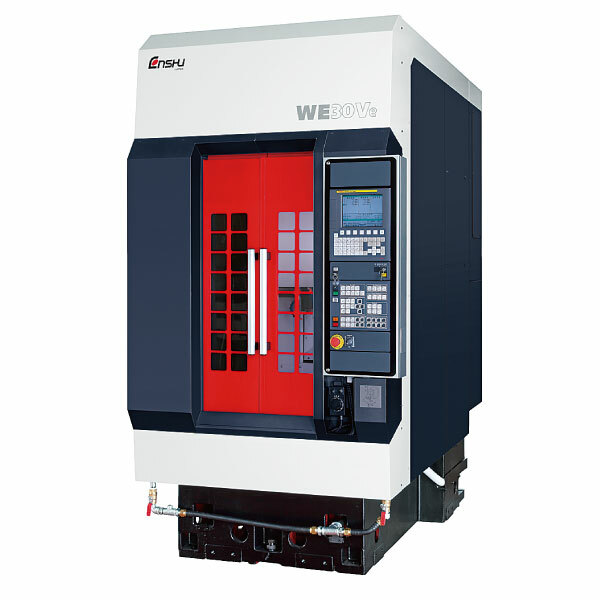 We produce a vertical machining center "WE 30 Ve", which is the top sales product in Thailand from our own factories in Thailand. 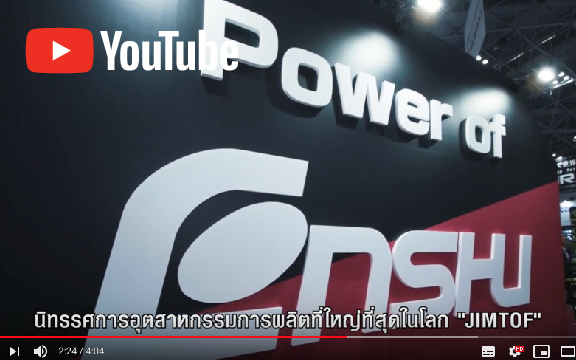 We have setup strict management and inspection standards equal to those in Japan, which enables us to achieve "Enshu" quality in Thailand by placing the highest importance on quality. 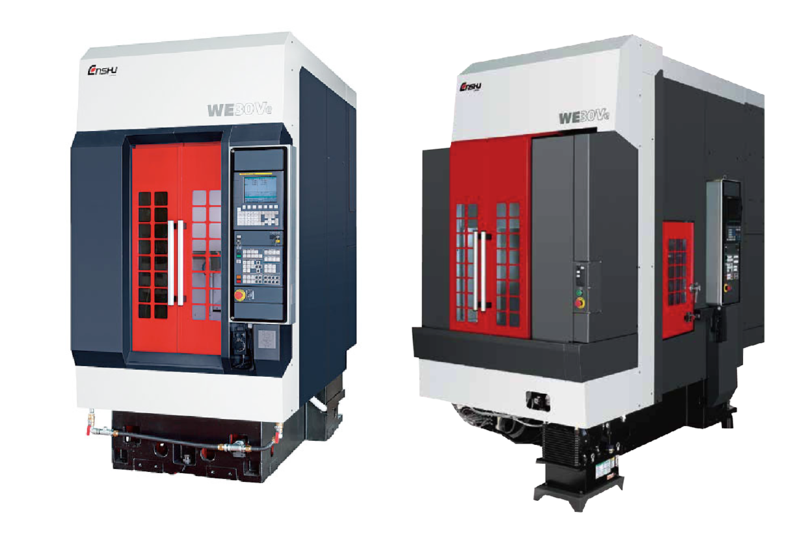 (Left) Compact machining center「WE30Ve」。combines high performance with functional beauty. It shortens human flow lines for management and placement with a space-saving design considering the equipment of jigs, and also contributes to increase work efficiency. 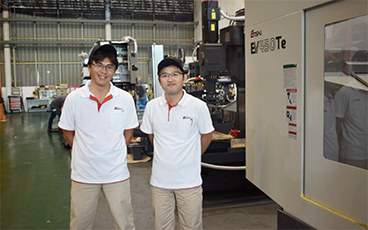 (Right) 「WE30Ve 2APC Spec」equipped with "pallet changer (automatic pallet changing device · APC)" on "WE30Ve"
KENG："WE30Ve" is a machining center our sales team proudly recommends. This is the global model of our vertical machining center boasting the highest in class maximum torque of No. 30 main spindle taper, a large capacity and an easy-to-use processing area. A design pursuing a comfortable work environment and efficiency of workers, and especially a convenient and large-capacity processing area have both gained popularity. Also, "WE 30 Ve 2 APC" as an option of WE30Ve comes with an automatic pallet changer (APC), and I am confident that it serves our customers to further promote their labor savings. We also export from Thailand to ASEAN countries, Japan, North America and Europe. KUREMATSU：I have 20 years of design and technical experiences in Japan. Based on my knowledge cultivated over many years of my work, we propose the optimal machining center for processed goods (work). In addition, we have a lot of sales results with jigs on it, and we can also include trial processing. 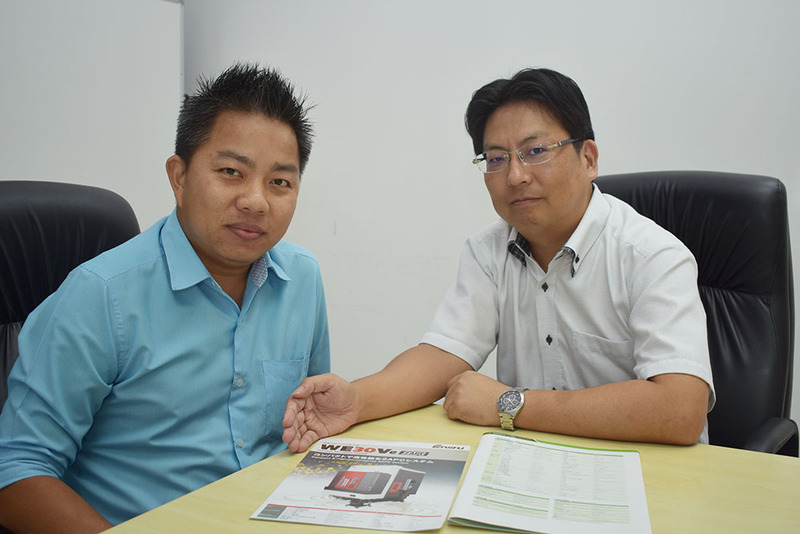 Furthermore, we can change mother machines into the customer's designated color. We also flexibly deal with customer's own specifications, such as installation of area sensors, two-handed activation buttons, temporary work placement stand and mist collector. KENG：Enshu (Thailand) has strengthened the maintenance system of Japanese and Thai people. Our service staff visit our customers on a daily basis and provide aftercare to maintain smooth production. 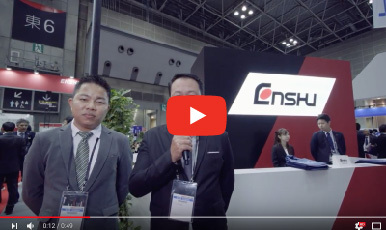 KUREMATSU：We, the Enshu (Thailand) sales team, are dedicated to making proposals and offering the optimum products to the market, meeting our customer's needs and problems on a daily basis. If you have any questions or requests about our products, please do not hesitate to contact us.